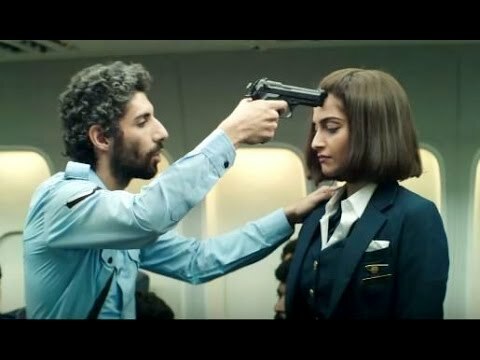 I was running out of patience to watch Neerja, after its Singapore release became uncertain, last friday. There were times i got tempted to search for an online pirated version. The rave reviews though, made me responsible – that such quality movies must only be seen in halls to encourage the Ram Madhvanis to make more of such. As I write, Neerja has crossed 35 crores in box office. But when duds like Prem Ratan Dhan Payo grosses ten times more, you know as viewers we are being unfair to merit. 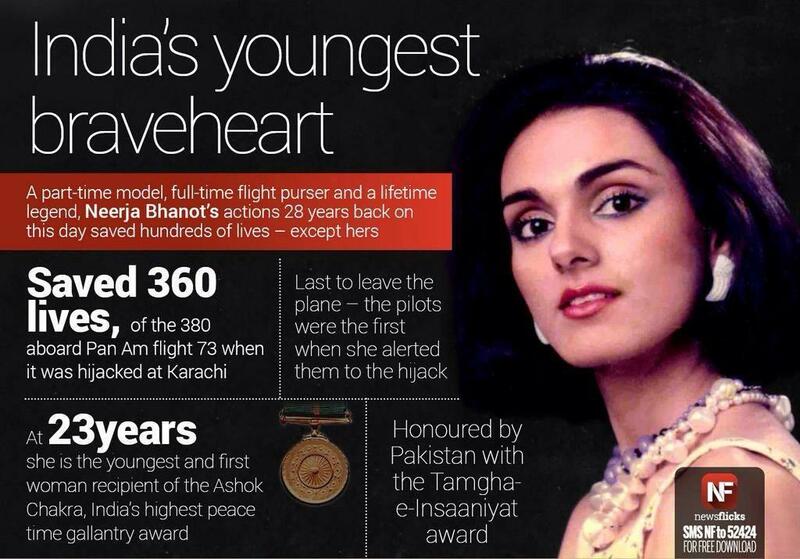 Sad, Pakistan has banned Neerja. Hope as a nation it matures one day. Before Neerja’s braveheart story, Hansal Mehta’s ‘Shahid’ had got me just as excited – but i cringed to see only 20% seats occupied at Singapore hall, with some of them giggling while hearing life story of a young Indian selflessly saving lives of others. When Neerja released here today, we rushed first day first show to a packed hall. 20% giggled here at times too. Hope as humans, Indians get more matured one day. I left the hall with a gamut of emotions but listing four thought processes which evoked in me most about this outstanding movie. a) It’s a tribute to Rajesh Khanna – Bollywood’s first superstar – from start to end. 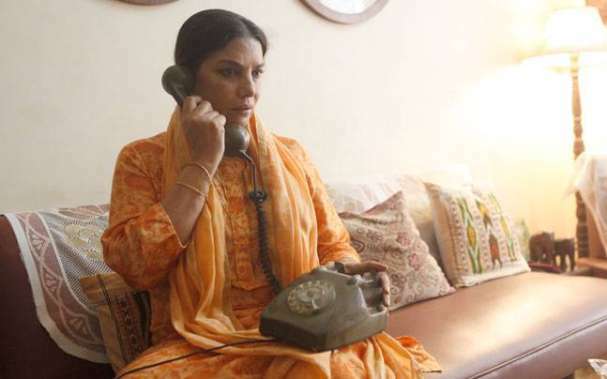 b) Shabana Azmi’s performances moist the eyes every time. From the way she wakes her sleeping daughter, early in the movie, till her last speech, she is just outstanding. Yogendra Tiku moves you everytime he speaks on phone. The lead psycho hijacker also shines. c) Sonam Kapoor’s physical and vivacious attributes fit the role perfectly, although a more seasoned actress would have delivered the flight moments better. 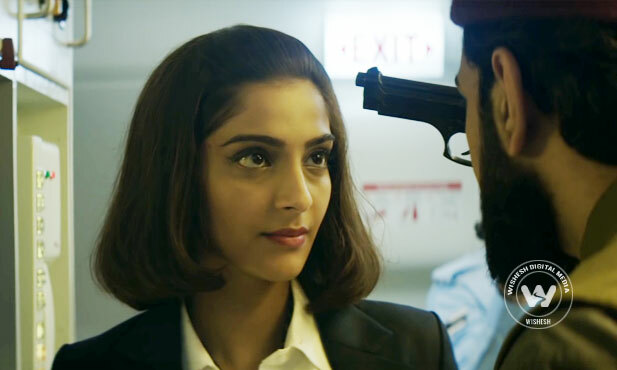 Sonam still has made a breakthrough role and praise to her ‘fear anthem’ for choosing an offbeat script. 2. What if my flight gets hijacked? For a start, no one should be scared of flights for its hijack probability. On an average 100,000 flights fly per day, three billion passengers fly per year and on an average there are less than one successful flight hijack attempts per year. So the probability of your next flight being hijacked is 0.0000003%. 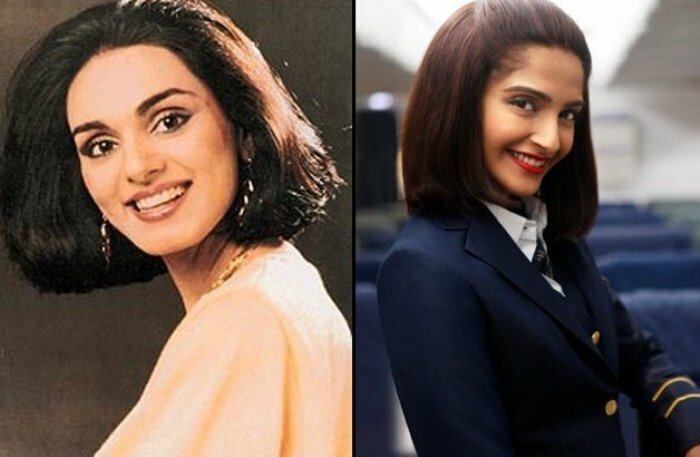 Neerja’s flight, Pan Am 73, got hijacked 30 years ago. It had four hijackers (alighting at Karachi) and 360 passengers. If i assume 50% of the passengers were kids or aged or unfit people, there was still scope for 180 odd passengers to take on 4 coward, but armed, hijackers. If you don’t take them on, chances of death are very high – any of them can get mad and start random firing. If for once, all of us think “let me lead the way, others will join in”, the world would be free of cowards. Rupin Katyal thought that. That’s why amongst millions of people dying every year, i only remember his name. He was on flight IC 814, in Dec 1999, amongst 176 passengers and dared to take on five terrorists. He lives life of a martyr. Had twenty more people joined him in the fight, there may have been no more hijacks. The 9/11 catastrophe may have been averted either. It’s in this context, that Neerja’s unknown story is important and had to be told. We all can do our routine nine hours at office, forward WA jokes at home, cook n wash clothes for family and keep living loan repaying lives. But not everyone can be a Neerja. And unless each of us has done atleast one inspirational act in life, God’s purpose has been defeated. We have cheated God. – Only courageous people must book seats near emergency exits. It’s too important a place for cowards to sit. – When hijack is in early state, you are fresh and terrorists, nervous. Get alert and calculative early. The more you delay, the hijackers get more comfortable, more in control while passengers keep getting drained, weaker. – You aren’t unarmed, you have courage and brains. At that stage, even a pen – jabbed into anyone’s neck with full force – can be an effective weapon. – Prepare your kids from today to get steely and decisive in every situation. Remember, despite the love and freedom, you kid may end up leading a troubled life (as Neerja’s marital life was). Make your kids brave. Like Neerja. Like Rupin. Like Shahid. Like our forces. Box Office collection : Should be around 100 crores mark, but before that, hope someone shows this movie to any of the hijackers languishing in Pakistani jails alive. I spit at all hijackers, terrorists.